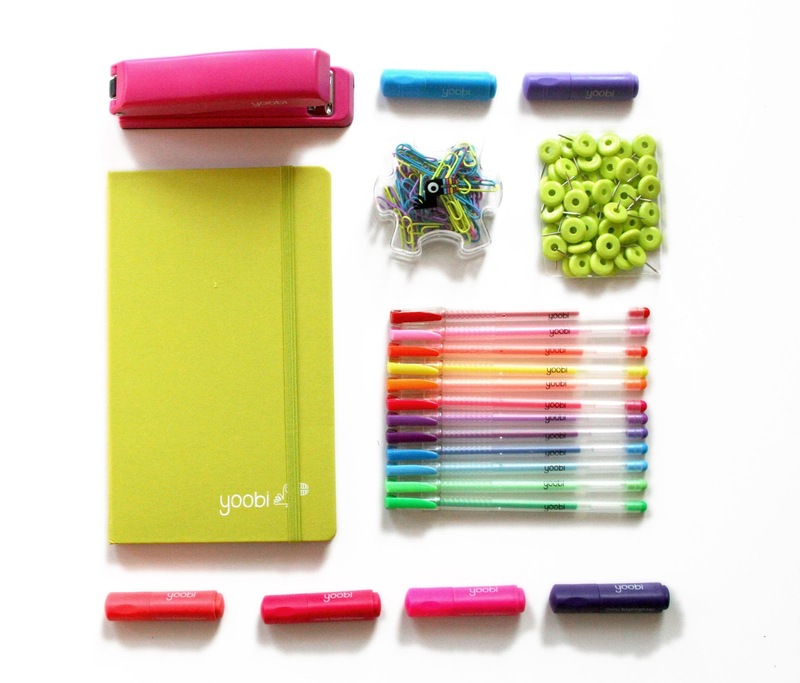 i am so excited to share this new source for awesome school supplies... yoobi not only makes bright, fun products that will have the other kids drooling, but for every yoobi item purchased, the company will give an additional item to a school in need, right here in the us! in the first year alone, yoobi will impact over 30,000 classrooms (which will help more than 750,000 kids!). isn't that amazing? the product line features items that kids and parents will get excited about like mini neon markers that are triangular so they don't roll away, school glue in coordinating vibrant colors, a rainbow of different notebooks and fuzzy pencil cases. we are in l-o-v-e!